The Munich Olympic Games of 1972 are an historical event second only to the 911 attacks of September, 2001 when it comes to the impact of radical transnational violence on the direction of U. S. foreign policy. 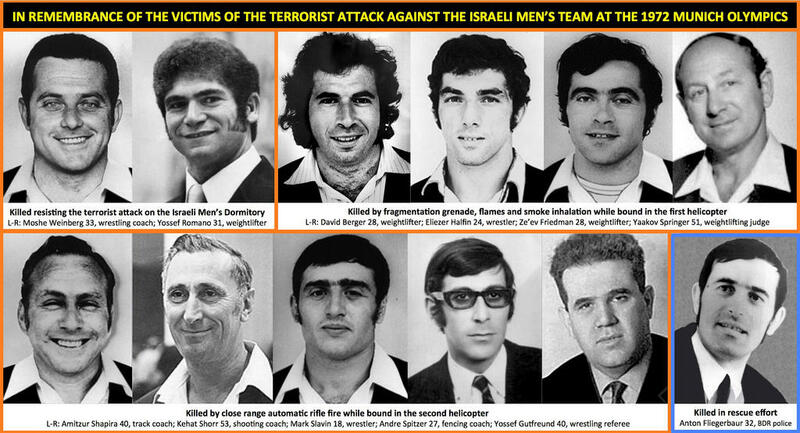 In what has to be described as the most tragic event in Olympic history, 11 members of the Israeli Olympic team were taken hostage by the Palestinian terrorist group known as Black September, which acted with the logistical support of German Neo-Nazis groups. Demanding the release of 234 prisoners held in Israeli jails, as well as the freedom of two founders of the German Red Army Faction that were incarcerated in German prisons, the terrorists moved into action during the second week of the games. An attempted military rescue ended tragically with the death of all 11 athletes and a German police officer, although 5 of the terrorists were also killed and the other three taken captive. When the three surviving terrorists were later released from German prison as part of the negotiations ending the hijacking of a Lufthansa airliner, Israel responded with Operation Spring of Youth, in which Israeli intelligence tracked down and killed all the Palestinian terrorists connected with the atrocity. The heartbreaking progression of violence at the 1972 Olympic Games and its aftermath is said to have ushered in the so-called “modern age of terrorism.” For the United States, the most significant reaction came in the creation of the Office for Combatting Terrorism within the State Department. In August of 1976, the Department of State officially elevated the “title” for the director overseeing counterterrorism efforts from “Special Assistant to the Secretary of State and Coordinator of the Office for Combating Terrorism” to that of Director of the Office for Combating Terrorism, and President Gerald R. Ford appointed L. Douglas Heck as the first to serve under such an official designation until June 6, 1977. 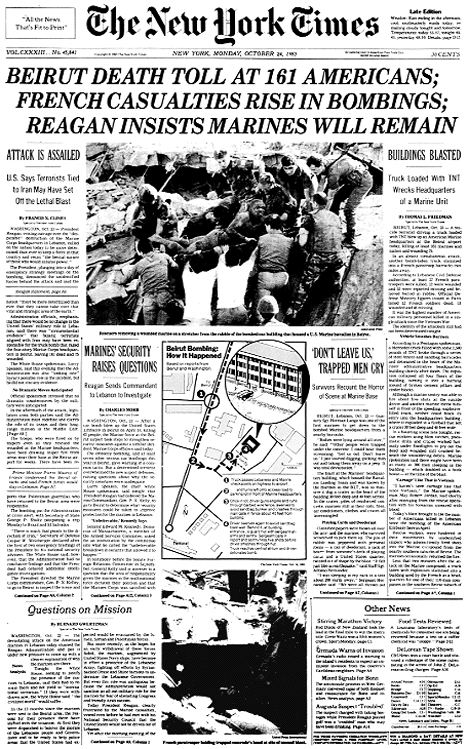 However, the United States was again rocked by an horrific event of international terrorism on October 23, 1983, when Hezbollah suicide bombers struck the barracks housing 299 U. S. and French military personnel stationed in Beirut, Lebanon as a part of an international peacekeeping force during the Lebanese Civil War of 1975- 1990. An obvious indication of complete failure in counterterrorism efforts, the tragedy led to a great deal of internal soul searching and investigation on the part of the Department of Defense and State Department – leading to yet another reorganization of the Office for Combatting Terrorism, including the re-designation of its director as the “Ambassador at Large for Counter-Terrorism” on November 4, 1985. In a National Security Decision Directive of early 1986, then President Ronald Reagan legally designated the State Department as the responsible entity for directing U. S. international policy on terrorism. In May of 1989, the official title for the director overseeing operations was again changed to “Coordinator for Counter-Terrorism,” thereby reflecting the growing menace radical transnational violence had become and ending disagreements on which governmental body was responsible for countermanding its threat on U. S. citizens. These changes established a definite chain of command when it comes to tracking and countermanding terrorism, and the coordinators/directors of those efforts are listed below, dating back to the Ford Administration. In 2009, the newly elected Obama Administration implemented the practice of analyzing short, medium and long term proposals for U. S. State Department responsibilities. 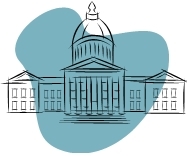 Dubbed the Quadrennial Diplomacy and Development Review (QDDR), this process is intended to occur every 4 years – with the goal of identifying shortfalls in the department’s capabilities. As a result of this process, on January 4, 2012 the Office for Combating Terrorism received the new name of Bureau of Counterterrorism , with a designated task “to forge partnerships with non-state actors, multilateral organizations, and foreign governments to advance the counterterrorism objectives and national security of the United States.” Programs within this bureau include: Anti-Terrorism Assistance Program (ATA), Countering Violent Extremism (CVE), Counterterrorism Finance (CTF), Counterterrorism Preparedness Program, Foreign Emergency Support Team (FEST), Global Counterterrorism Forum (GCTF), International Security Events Group (ISEG), Regional Strategic Initiative (RSI), Technical Support Working Group (TSWG), Terrorist Screening and Interdiction Programs (TSI), Trans-Sahara Counterterrorism Partnership (TSCTP), and The Partnership for Regional East African Counterterrorism (PREACT). The rising importance of counterterrorism efforts within the organization of the State Department is an obvious indication that radical transnational violence has grown more severe over the past 40 years, and this fact is also very evident in the infamous attacks of 911, which most Americans would have never dreamed possible in 1972. Current U. S. efforts to counter this violence emphasize the role of international cooperation very heavily, involving bilateral discussions with about 20 countries – including weekly “secure communications” in some cases. Of equal importance is the emphasis on the programs of Countering Violent Extremism (CVE), which “aim to counter the radicalization of persons who may be moving onto the next phase of engaging in terrorist violence or knowingly providing material support for the shooters and bombers.” An ounce of intervention and prevention is worth a ton of safety, but the promotion of peace and tolerance is also important – and in many respects this can occur through the solemn recognition of those that have died as victims of this growing menace to the future of mankind. You can lend your support to such efforts by clicking the link below and signing the petition to which this website is dedicated. The video below concerns the actual announcement to the public concerning the establishment of the Bureau of Counterterrorism. This entry was posted in Posts for the Cause and tagged 1983, beiruit truck bombing, bureau of counterterrorism, Coordinator for Counterterrorism, Counterterrorism, Israel, marines, monuments to victims of terrorism, peace, Ronald Reagan, State Department, terrorism, United States Department of State, world brotherhood. Bookmark the permalink.